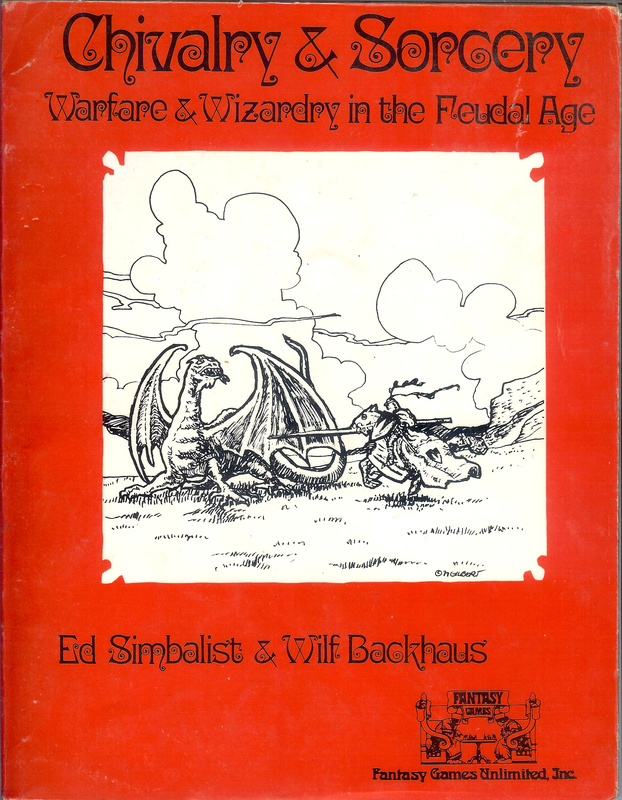 Back in the days of the Loyal Order of Chivalry & Sorcery mailing list I enjoyed swapping emails – both public and private – with C&S designers Ed Simbalist and Wilf Backhaus and, at the last two Dudley Bug Ball game conventions in 2001 and 2002, of meeting, chatting and gaming with Ed and the new generation of C&S designers and publishers. Both Wilf and Ed were very approachable and friendly but, having met him in the flesh, I felt I knew Ed a little better. Ed, being a teacher by profession, was particularly delighted when I told him his essays on medieval economics in the C&S Sourcebook had led me to study landscape archaeology at night school. What I never really asked either of them about were those early years of gaming, and of Chivalry & Sorcery in particular. It’s understandable, I suppose, because C&S3 had not long since been published then, after the fall-out with Highlander, Britannia and Ed started working on C&S The Rebirth. We were looking forwards, not backwards. the West Coast scene and attitude rather different to the war gaming and fledgling roleplaying scene in Edmonton, Alberta. There was a distinct herbal waft around the Chaosium offices in those days, he told me and the group of Britannia staff and hangers-on one evening over brandy and cigars in his hotel room. When people mention the tiny typeface in the original C&S, this is what they’re talking about. That first edition of Chivalry & Sorcery did indeed attempt to be all-encompassing. It included a roleplaying game, a tabletop war game, and strategic considerations, all set against the backdrop of a fully functioning society. 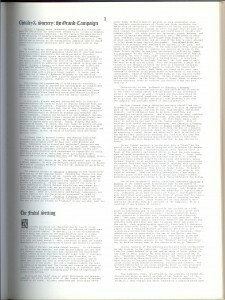 No game since has ever attempted to make all of that part of the core rules – even C&S second edition moved the war game into a source book. 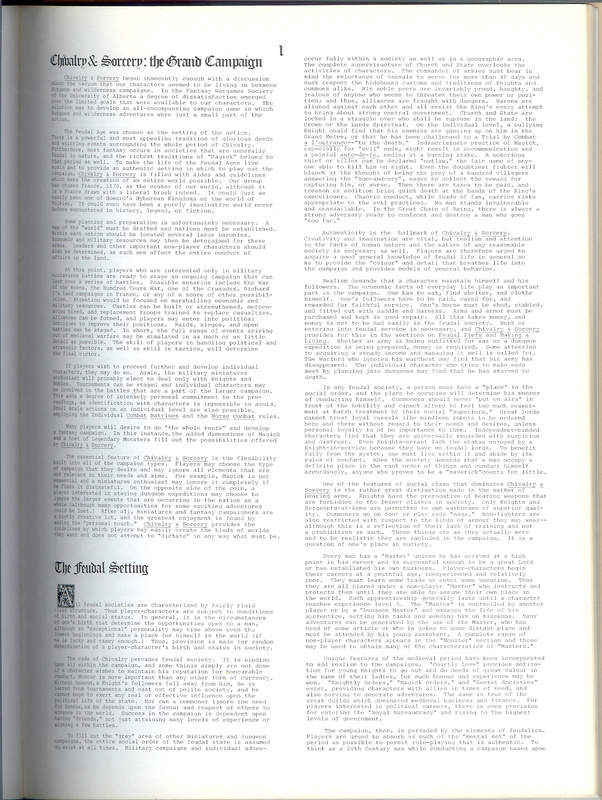 Rolemaster had a stab at it with its War Law supplement, and GURPS and Hero System have abstract mass combat and strategy rules in various supplements. But not in the core rules. Now, through Facebook, I’ve found someone who was part of Trevor Clarke’s playtest group and who has graciously agreed to share some of his memories – with the warning that it was a long time ago. At the time Lloyd Wiebe worked at the Edmonton games shop Little Wars. Lloyd recalls: “I knew Wilf a lot better than Ed, but in the early days, I lived in the same house as Trevor Clarke and since I was a gamer, and he was a major playtest GM for the game, having pretty much contributed the entire Forester set of rules for the game, it was not uncommon for Wilf to drop over to the house in West Edmonton to check in on a Sunday game. “I also was employed by a game/comics shop that existed in downtown Edmonton for a while, and my boss was heavily into miniatures, when the best place, and sometimes the only place to get them was from Britain. He’d make several trips a year, bringing back boxes of collectible figures. I ran the retail side, and saw pretty much every game that started up in the late 70s. He went on to give his recollection of Trevor, Ed and Wilf: “As I recall, and remember, this is a lot of years ago… All three of them had been essentially burned out on D&D, but wanted a game that more realistically rendered combat, magic, and campaign battles. “Trevor was an immigrant from Britain, where miniature battles were being fought for many, many generations already, and he wanted to ensure that those principals remained true to form. 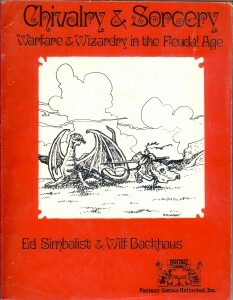 “Wilf had a great appreciation for magic, partly as a result of a lot of exposure to Tolkien, and wanted a system that reflected different, customisable ‘schools’ of magic that could achieve the same ends, via different mediums, and he designed the rules so that that could impose a methodology on each player that would lend itself to gameplay. “Ed was the Chivalry guy, and worked very hard on rules for the upper classes, the weapons and martial combat. Ed Simbalist, 1943-2005. Teacher, gamer, designer. Wilf Backhaus, 1946-2009. Lawyer, gamer, designer. This entry was posted in Gaming and tagged C&S, Chivalry & Sorcery, old school, tabletop. Bookmark the permalink. Hey, Trevor Clarke being Nigel Clarke’s brother?